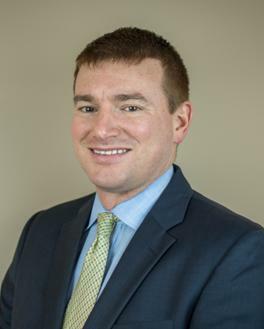 Mark is originally from Geneva NY and has been a Certified Financial Planner(TM) with Higgins Henderson, LLC since 2010. He is a proud graduate of DeSales High School (Geneva) and the Rochester Institute of Technology where he received his Bachelor's Degree in Business Administration in 1997 and was a 4 year member of RIT NCAA Division III basketball team. After college, he enjoyed a successful 14 year career at BCC Software where he was the Vice President of Marketing and Customer Services. In 2003, he returned to RIT to completed his Masters Degree in Business Administration (MBA) with a focus in Finance and Marketing. Mark loves being a Dad for his three children Luke, Owen and June. In his free time, you can find him playing basketball, golf, or volunteering to help with with Boy Scout Troop 207, as a board member for Autism Up, or as a volunteer coach for both Fairport Little League baseball and Church of the Assumption CYO basketball. Mark also hosts an annual golf tournament now in its 9th year, called the Autism Open, which raises money for autism support, programs and research in Western NY. It is scheduled for June 9, 2018 at Shadow Lake Golf Course in Penfield. If you are interested in playing, please contact Mark.